Looking for a rare name with a stylish short form? 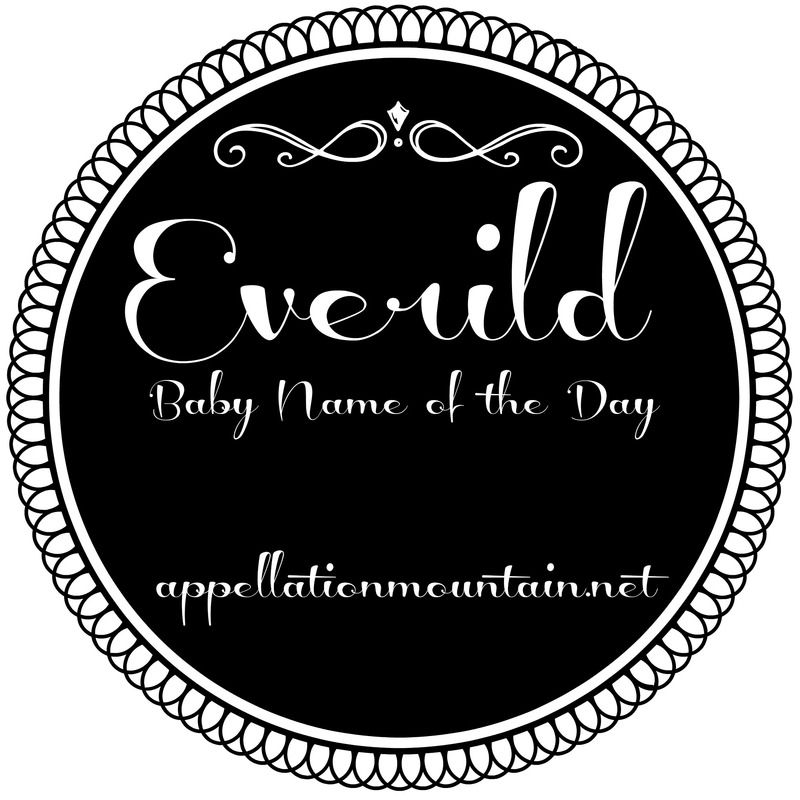 Today’s Baby Name of the Day fits the bill: Everild. Oh, the power of Latinization. The Old English name Eoforhild would be a non-starter nowadays. It translates roughly to “battle boar” – from eofor – boar, plus that familiar hild. You’ll remember hild from clunky antiques like Gunhilda and Hildegard, as well as vintage revivals like Matilda, strength in battle. 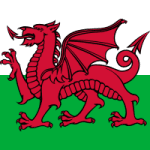 Eofor was a popular element in Anglo-Saxon names. There’s also Eoforich, Eoforweald, and others. But in Latin, Eoforhild became Everild, or sometimes Everilda or Everildis. And suddenly, a vexing obscurity becomes a modern possibility. Eoforhild had to be Latinized, you see, because she was a saint. Born sometime in the early 600s, probably to a noble family in Wessex, Eoforhild converted to Christianity. 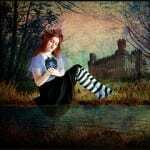 Some accounts make her the daughter of King Cyneglis of the West Saxons. She founded an abbey at Everingham, and indeed, the village may be named after her. 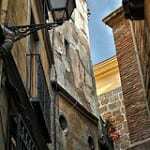 Two churches in the village are dedicated to her, as is a small shrine in an older church in a neighboring village. The abbey was successful, at least in Everild’s day, growing to include eighty women. The little recorded about her life is predictable – she fled her pagan parents’ home, intent on remaining unmarried and devoting her life to faith. She’s still listed on the calendar of Catholic saints, with a feast day on July 9th. Around the yaer 1500, Sir Marmaduke Constable, Member of Parliament, and his wife Barbara gave the name to their only daughter. The family was from the area – Barbara and Marmaduke are both buried in St. Everilda’s, Everingham. Marmaduke’s firstborn son, Robert, also gave the name to a daughter. Another Everild surfaces in the 1600s, Everild Maltby, wife of another English politician. More recently, there’s the aristocratic Everild Tania Hambrough Coleridge, former wife of William Coleridge, 5th Baron Coleridge. I can’t find her date of birth, but their marriage took place in 1962 – so this is definitely a twentieth century Everild. In the US, an equally small group of women share the name. It has never been recorded by the Social Security Administration, meaning that it has never been given to as many as five girls in a single year. 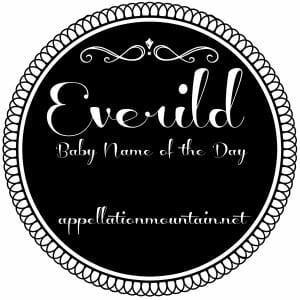 The same name has also been whispered down the alley into the slightly more popular Averil, Averill, and even Avril, though Avril has plenty of other possible meanings and origins. Eva, Eve, and Evie. The twentieth century Everild has a granddaughter named Eve. Edie, a name nearly as quirky and cool as Everild. This is a stretch, but it even seems like Everild could lead to Ellie – maybe. While we’re thinking of every possibility under the sun, there’s also Vera. Overall, Everild is an incredibly attractive name if you’re after a rarity that would still wear well. She’s nearly unknown, but her history is undeniable. And it would be easy enough to introduce your daughter: Her name is Everild. It’s an old English name. We call her Evie. Do you think Everild is wearable today? Would you use a short form? If so, which one? How would you pronounce this name? Does it rhyme with “wild”? Oh, I adore this name! I’m so glad you featured it! I think its a classic and strong way to get to the trendy Ever or Everly nickname! Initially I thought this was a boy’s name, which I liked. Discovering it’s a girl’s name made me like it even more. I’m a huge fan of consonant-y girls’ names. I’d love to meet a little Everild and if I had one, I’d use the full name. I think it’s really pretty and sounds like a fantasy place name. What about shortening it to Ever? Ever and Everly/Everleigh are notable names these days. A nice thought, Megan – love that!